Romania is a strategically important country located in Southeastern Europe. The country is known for ancient history, medieval towns, castles, forested masses and most notably the regions of “Transylvania”. The country has a developed economy and is a member of the United Nations, NATO, and the European Union. Excavations and radiocarbon dating show that human history in the region dates back to approx. 40,000 years ago. Later on, the Greeks and Romans, both established their colonies on what are now Romania lands. Middle ages of the region were marked by the reigns of different empires and dynasties. At the start of World War 1, Romania decided to remain neutral but eventually chose to fight alongside the Allies. Again, in the World War 2, Romania tried to remain neutral but was forcefully occupied by the German forces. After Germany was defeated in 1945, the country was annexed by the Soviet Union and remained a communist state till 1989 revolution when the country pushed and gained its independence. Today, Romania is a democratic country with a stable economy and excellent human development. Romania has great strategic importance as it lies on the intersections of Eastern, Central, and Southeastern Europe. Bordering countries of Romania include Moldova towards the East, Bulgaria towards the South, Hungary towards the West, Ukraine towards the North, and Serbia towards the Southwest. The Black Sea lies toward its East. Forests cover almost 27% of the country’s total area. Other features include mountain ranges, hills, rivers, and National Parks. Services, agriculture, and industries are the main economic drivers of the Romania economy. Unlike most of the other European countries, agriculture plays a significant and accounts for approx. 8% of the total GDP. The country has declared no state religion and is a secular state. Majority of the people follow Christianity. 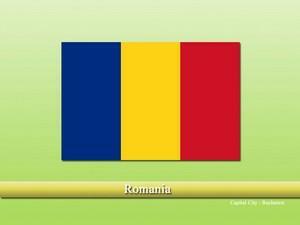 Romania is the official language of the country and is also spoken by the majority of the population. External staircase as per vastu? Vastu remedies for debt problems?